Research shows that women treated by GYN cancer specialists have higher long-term survival rates. In the U.S., only about a third of the women diagnosed with a gynecologic cancer get treatment from a gynecologic oncologist. Too many women are treated in hospitals that see only a few cases each year. These doctors lack expertise in complex GYN cancer surgery and the advanced chemotherapy that can prolong a woman’s life. According to the Ovarian Cancer National Alliance, the first thing you should do after you are diagnosed is find a gynecologic oncologist. At Aurora BayCare, women with ovarian cancer or other gynecologic cancers are treated by a board-certified, fellowship trained gynecologic oncologist. 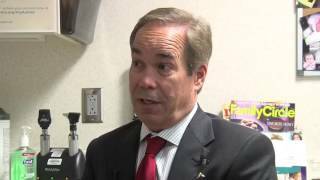 Aurora BayCare offers several minimally invasive treatment options, including robotic-assisted surgery. 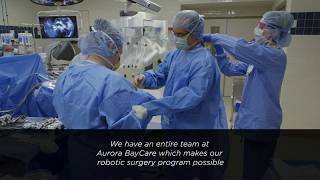 Aurora BayCare is part of the Aurora Health System, the first provider in Wisconsin to perform robotic assisted gynecologic surgery in Wisconsin. Robotic assisted surgeries provide your surgeon with greater visualization of the cancerous tissue and greater precision when removing those tissues. 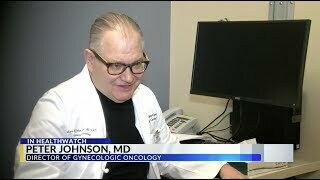 This not only helps your surgeon remove all your cancer, but it may help preserve fertility for some women. As principal investigators with the national Gynecologic Oncology Group, Aurora BayCare makes the latest cancer treatments available to you through clinical trials before they're widely available elsewhere. We’re studying new ways to treat gynecological cancer. Intraperitoneal chemotherapy, or IP therapy, delivers cancer drugs directly into the abdomen. In 2006, new research revealed that IP chemotherapy increased median survival rates by more than a year. The National Cancer Institute urged doctors to use the new treatment. But because IP therapy is complicated and with the potential for more toxicities, many oncologists still don’t offer it to patients. At Aurora BayCare, we offer aggressive treatment for gynecologic cancer, including IP chemotherapy.